Well you have certainly 'brushed' up on the abstract angles. Who knew there were so many styles of brushes. I really like this one. Fav. @kiwinanna Why thank you for the Fav! 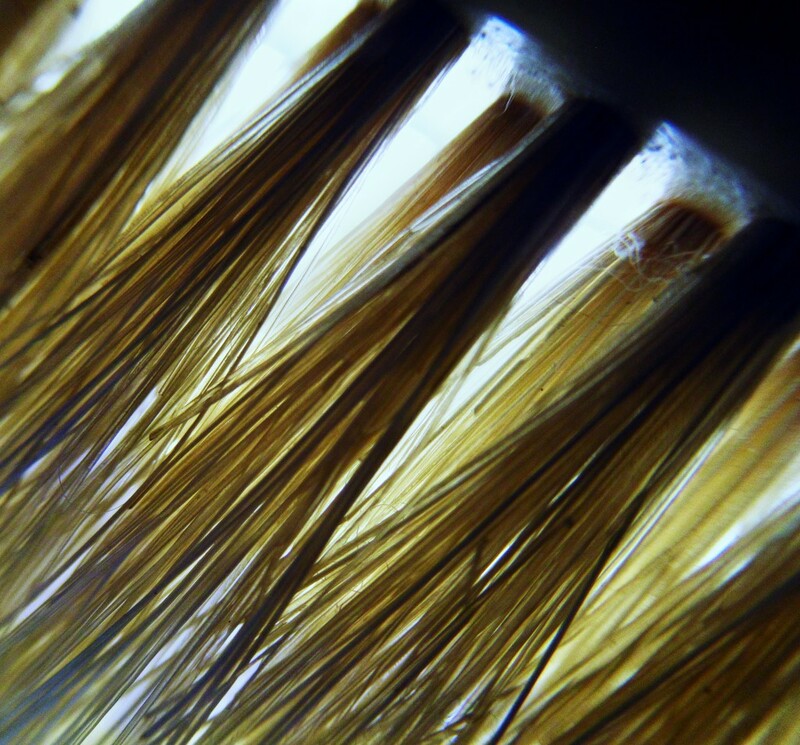 This one is vintage - you can even see the bits of fluff etc at the base of the bristles! Forgot to clean it! P.S. Love your turn of phrase - often find myself laughing!! @joannakate Thanks Joanna They were against a glass door - don't know why the blues appeared??!! @cruiser Thanks Chris - I have really enjoyed the abstract month!! @sarahlth Thanks Sarah - it might not be a true abstract - it's pretty obviously a brush?